In the late 19th Century, Swedish immigrant brothers Carl and August Larson left their homeland and emigrated to Chicago. After a spell working as jobbing luthiers, they bought the Maurer guitar company and began making their own guitars. In addition to the brand name Maurer, the brother’s guitars carried the names Euphonon, Stetson, Stahl, WLS, Larson and Prairie State. 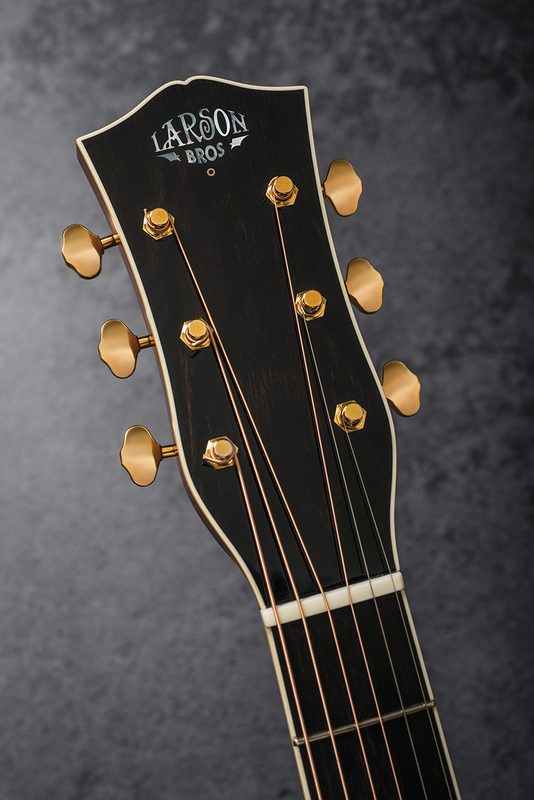 The Larsons competed against countless American guitar manufacturers, but two things set them apart. Firstly, their construction methods were highly innovative and secondly, their guitars were extremely good. 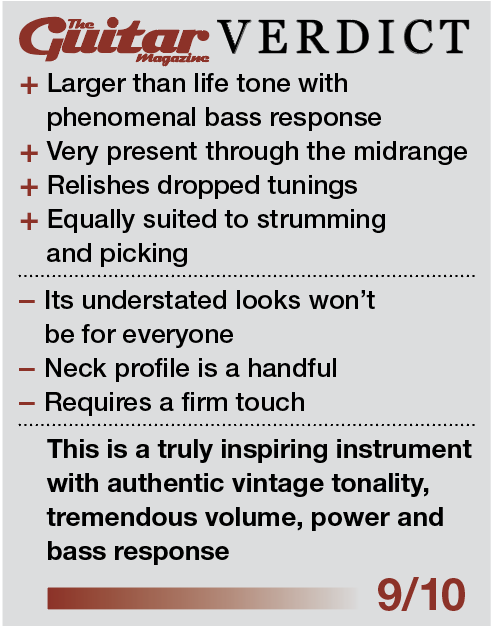 They produced a broad range of models, and since the guitars were all hand-built, there appears to have been little in the way of standardisation. However, two long-running features were arched tops, and the laminated braces that held them in tension. The brothers would sandwich a strip of rosewood or ebony between outer layers of spruce to create braces that were extremely stiff and strong yet thin and light. What’s more, the Larsons always built guitars for steel strings. Although never a household name such as Martin or Gibson, the Larson brothers could point to some celebrities on their client list and they are highly sought after among players and collectors today. Much of the appeal comes from their relative scarcity of these guitars, largely because the company folded upon the death of Carl Larson in 1946 – just two years after his brother. Considering the number of defunct American guitar brands that have been revived in recent years, it’s surprising that all things Larson related remained dormant for so long. This didn’t escape the notice of Toni Götz of iMusicnetwork, who decided to find out who owned the rights. His company’s lawyers consulted colleagues in America and discovered the Larson Brothers name was not in use, and therefore available for purchase. The legal transfer of the Larson Brothers of Chicago brand, including all postmortem rights, to iMusicnetwork took place in 2007. With the legal side taken care of, Götz teamed up with Roman Zajicek, the master luthier of Rozawood Guitars in the Czech Republic. Together they accurately measured and laser scanned several original Larson guitars, then some early models were built. 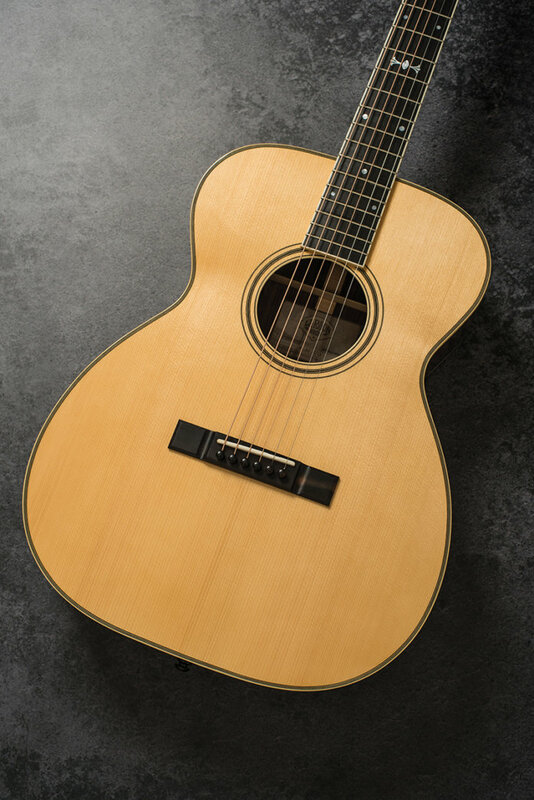 Then in 2012, Götz met respected French luthier Maurice Dupont, who knew the Larson history and was inspired by the idea of recreating their guitars. Since 2013, Dupont and his team have been building Larson acoustics in Boutiers Saint Trojan, near the city of Cognac. Model designations were never a Larson strong suit, and ‘Prairie State’ was never an official designation – more a nod to the nickname for the brothers’ Illinois home state. That said, the relaunched Larson Bros company has made an attempt to establish some sort of structure in the product lineup. The guitars range across three series – Heritage, Vintage 1900 and New Century – and the old brand names are now used to designate specific models. The top of the line Heritage models are all Euphonons, and there are three body styles. At present, the Vintage 1900 Series has three body styles, with Stetson designating a slope-shoulder dreadnought, Prairie State and Stahl corresponding to OM and 00 bodies. The New Century Grand Auditorium was never a Larson design, but is built in the Larson style. Despite being at the more affordable end of the catalogue, this Prairie State, like all the Vintage 1900 guitars, is made according to original Larson Bros plans, with laminated bracing and is finished in nitrocellulose with a bone nut and compensated saddle. 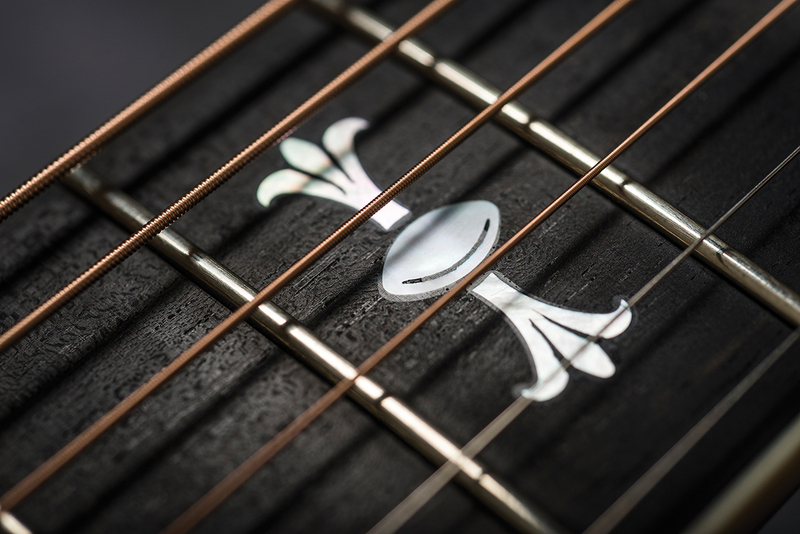 The bound headstock has an undeniably graceful shape, with an evocative pearl logo and gold-plated open-gear Gotoh tuners. 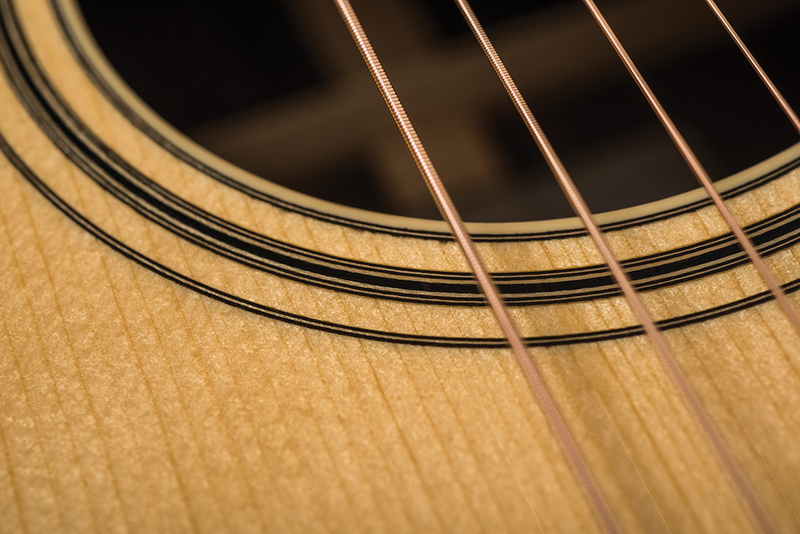 The plain cream binding continues along the ebony fingerboard and around the body, where it’s joined front and back by multi-layer purfling. The ebony bridge looks just like a vintage Larson, and the satin finished mahogany necks looks to have been joined to the body post finishing – just like Martin does. The overall quality of the finish and fretwork is fairly high and although there is some untidiness inside the body, apparently the original Larsons were much the same. We also notice some glue squeeze out on the stacked heel and along the fretboard extension, but it cleans up easily enough. The Prairie State may bear more than a passing resemblance to a Martin OM visually, but the tone is really quite different. To our ears the Prairie State has a more robust and richer quality, especially in the lows and midrange, which support and fill out the extended treble. 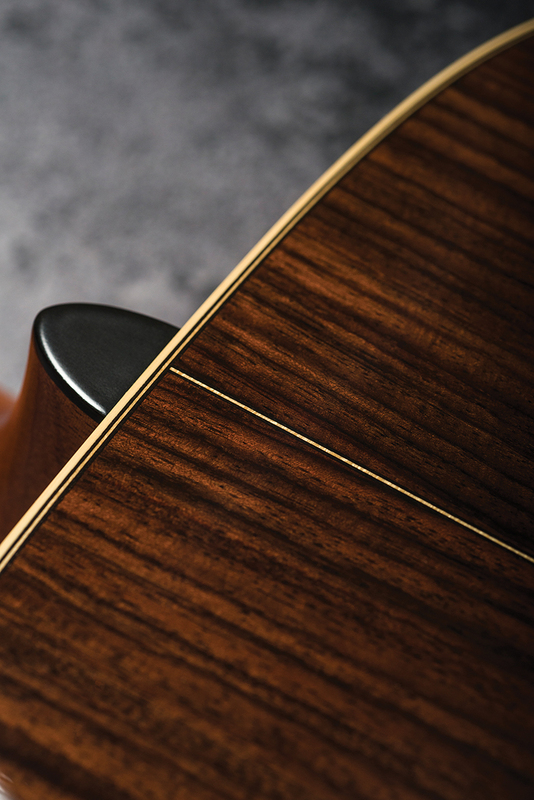 The upper frequencies are just about the sweetest we have heard from a brand new spruce/rosewood acoustic. This treble response lends an undeniable refinement while also remaining vibrant, engaging and never dull. Contradictions abound, with thunderous bass that never becomes boomy, a natural compression that gels it all together without subduing transients, and an overall sense of taut control that also manages to feel supple and loose. Strum any open chord towards the low end of the neck and the Prairie State responds with a grand, almost majestic quality. The bass is so rich, weighty and complex that for once, the ‘piano’ epithet is justified. Putting it up against a similarly spec’d Collings, the Larson isn’t as nuanced or mellow, but it has more punch, volume and projection, and that could make it a bit more exciting to play depending on your taste in tone. It’s worth mentioning the Prairie State’s wider neck and string spacing, because it could require some period of adjustment for fingerpickers who are more accustomed to modern acoustic designs. The neck has a fair amount of depth and the rounded profile may become a bit fatigue inducing for players with smaller hands. Larson guitars are rare and valuable, so we offer no apologies for not having an original on hand to compare. However, we certainly spent some time listening to demos and this recreation looks and sounds a lot like the ones we have seen. The Prarie State is a guitar that demands some physical commitment from the player to unleash its considerable sonic charisma, but it’s well worth the effort and the money.